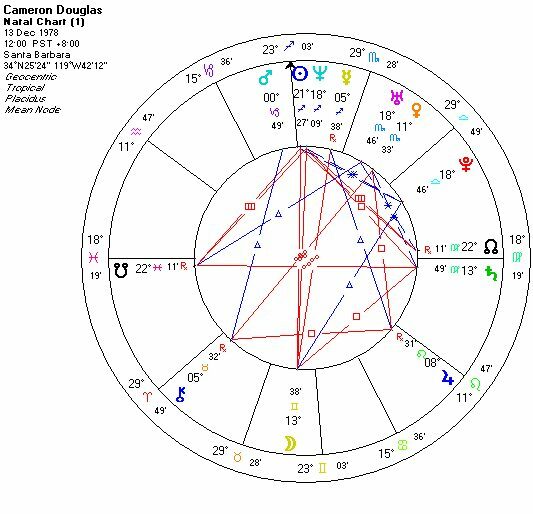 Cameron Douglas – Engaging with Transit Saturn? In an earlier post, I looked at the horoscope of Michael Douglas and at the effect that the current transit of Pluto through Capricorn, is having on his life. Now it’s Cameron’s turn. Cameron Douglas – Michael’s son from his previous marriage is facing a possible life sentence for peddling hard drugs. So what does his horoscope have to say about this? Both father and son are born under a Sun/Neptune conjunction – an aspect that has close associations with addiction. Here is a desire to escape life. Some people achieve this through their creativity, but time and time again I come accross this conjunction in the horoscopes of people who are fighting alcoholism, drug or nicotine addiction, gaming addictions… you name it, if you can get hooked then Sun/Neptune is on to it. The Saturn return forms the back-drop to this phase in Cameron’s life. With his radix Saturn at 13 degrees Virgo, he has literally just passed through it. This is a time when Cameron will be expected to take full responsibility for his actions. The Saturn return sets the tempo for the next 29 year Saturn cycle. This is a time of important choices for the future, the Saturn return is essentially the doorway through which we all have to pass on our way to adulthood. Choice made now determine the important middle phase of our life. Here we enter into our most productive period: the 30’s, 40’s and 50’s. After the return, Saturn squared Neptune (the big wake up call!!) and is currently squaring the Sun ( freedom denied). But there’s more, Pluto in O degrees Capricorn is still busy conjuncting Mars (change your ways boy!). Transit Uranus square Sun, can also be tricksy and here on Cameron’s South Node, pointing to past karma ! So, though Cameron’s life is clearly not a box of chocolates we should not forget there is an opportunity here. Major changes in life are Uranian. They often happen suddenly as a result of a clean break with the past. A time of massive confrontation with the outside world combined with a time of enormous internal upheaval and pain, can trigger such a Uranian leap into an unknown future. A stretch in jail – might actually do this guy some good. It would take him away from his drug associates and give him the chance to re-think his life. With Saturn moving into Libra later this year squaring Mars in Cameron Douglas’ horoscope my guess is that no amount of money is going to buy this boy an easy ticket to freedom. There are clearly major make or break issues here. His whole future lies in the balance. 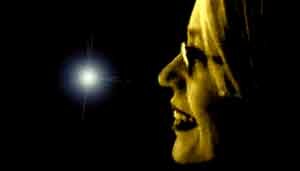 Dit bericht is geplaatst in Astrology English, Uncategorized en getagdCameron Douglas, father son relationships, Michael Douglas, Saturn return, Saturn transits, Sun conjunt Neptune, transit Uranus, transit Uranus square Sun. Bookmark de permalink.